The Ripley Race features one of the best 5K routes in the Mid-Atlantic region. The route offers the best sights that Annapolis has to offer, including the governor’s mansion, historic Main Street, Gate One of the Naval Academy, as well as views of the City Dock, Navy Academy Chapel and Maryland State House. The start and finish line take place at one of our nation’s most historic landmarks, the Navy-Marine Corps Memorial Stadium — the ideal setting for honoring the sacrifices of our nation’s heroes. Race registration information is available here. 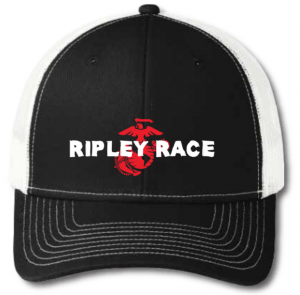 The first 250 registrants will receive a Ripley Race trucker hat which will be available for pick up at registration. Fundraise $2,500 as an individual and you’ll receive an Apple Watch Series 2. 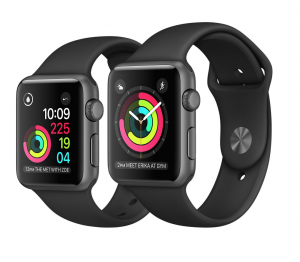 Fundraise $5,000 as an individual and you’ll receive an Apple Watch Series 2 Stainless Steel. All participants who register by the online closing date are guaranteed an event t-shirt. For all registrations in-person registrations, T-shirts will be provided on a first come, first served basis, while supplies last. The awards ceremony takes place at the announcements tent once all racers have completed the race and top finishers have been tabulated. Gift bags awarded for the top 3 male and female finishers in the 5K as well as top overall boy and girl in the 1 mile Fun Run. In the following age groups, the top overall 5K male and female finishers will be awarded gift bags while the 2nd and 3rd place finishers will be announced: . and in age groups: 10 and under, 11-12, 13-14, 15-19, 20-29, 30-39, 40-49, 50-59, 60-69, and 70+. $1,000 Team Competition – Pick a team leader, set up a “Team” during the online registration process and organize your team. The team with the lowest average run time wins $1,000, 2nd place $500, and 3rd place $250. Teams must have at least 20 entrants include 3 female participants. Packet pick up is at Charm City Run shoe store at Annapolis Towne Center. Packet Pick Up- Friday, Nov 9, 3-7pm and Saturday, Nov 10, 9-1pm. (packet pick up is available the morning of the race as a back-up and for Midshipmen). Use parking Gate 5 off of Taylor Ave. the morning of the event and please plan ahead and come early. Parking fee is included in your race registration. The event Start/Finish will be in the South End Zone “NavyFest” area just like last year. Beer and Live Music on us! We’re having another post party this year… on the day of the race wear your race premium shirt to Fado Irish Pub just blocks from the stadium finish line at Park Place and enjoy your first beer on us! The festivities start after the race ends and includes live music. We’ll see you at the Fado Post Party. The Race Directors reserve the right to cancel or modify the run in consideration of adverse weather conditions or other health or safety factors. There are NO REFUNDS. Spread the word to your friends and tell them to come out and support a great cause! We have partnered with HERO Boys™ Run Club, a school-based running program for boys in 3rd-5th grade. They will be using this year’s Ripley Race as their graduation run and have placed the program in elementary schools throughout Anne Arundel County and beyond. They are interested in expanding into more Elementary schools so if you don’t see the program at your school please inquire about starting the program. Find out more at www.heroboys.org.